WHO HAS GOT THE BETTER HORSES THIS YEAR? Throughout most of the jumps season, the Irish horses race in Ireland, and the British horses are kept in Britain. So rarely do we get a clash between the two outside a major meeting. The Cheltenham Festival - the pinnacle of jumps racing however, inevitably brings the two together, to find out the best horse over a certain distance and obstacle, and is usually the golden key to finding out who has got the better horses. In recent years, the Festival has been dominated by the Irish - or has it? Take this year's event, and the four Championship races - the Champion Hurdle, the Champion Chase, the Stayers Hurdle, and the Gold Cup. Three of those four named were won by British trained-horses, so from that evidence, it would suggest that Britain have the best horses. No no. Across the jumps campaign in Ireland, they do not necessarily have racing every given day. Instead, there is more build up for the Irish fixtures, as there are fewer opportunities for a horse to break through. If you take away the Championship races at Cheltenham, it is pretty much a clean sweep for Ireland, dominated by Willie Mullins and Gordon Elliot. Lizzie Kelly - a female jump jockey, who won at the Festival last year on Coo Star Sivola, spoke out last year that this possibly the reason to Ireland's success. They have less meetings in the week over the course of the year, which brings out their true best. A reason to counter this in Britain, is to potentially reduce the amount of racing, so we are not blinded with what are best chances of winners at the festival actually are. Britain may have the best of the best with the likes of Native River, Buveur Dair and Altior, but in the grand scheme of things, Ireland have much more quality in quantity. Buveur Dair won the Champion Hurdle for Nicky Henderson, but out of the next six horses home, five of them were Irish trained. It is a fascinating debate, but one thing we know for sure, is that the Irish have dominated the British in the Cheltenham Festival in recent years, with thanks to their top two trainers being at their brilliant best - Willie Mullins and Gordon Elliott both recording trebles and more. 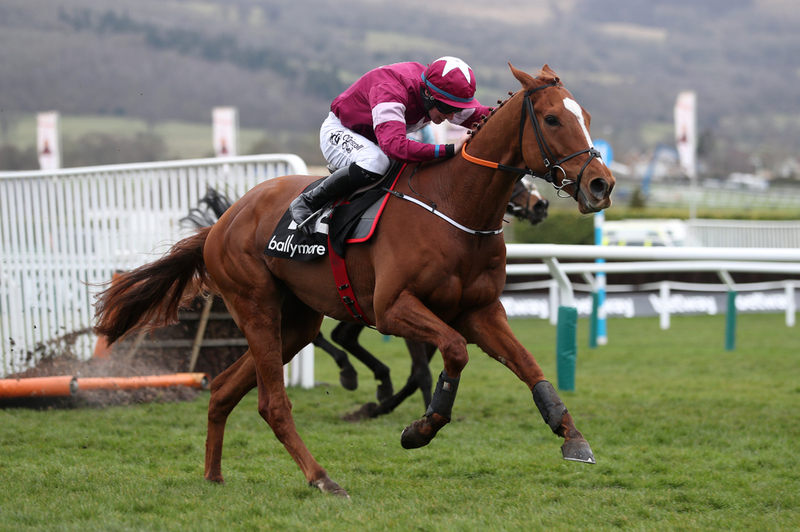 In terms of the horses, as we have mentioned, Britain are led through the likes of Altior and Might Bit, but Ireland had some top novices last year in the shape of Samcro, Laurina and Presenting Percy, who are all sure to go close this year, and of course, they will have some top juveniles coming through the ranks as well.